Dr. Mark Mills graduated from the University of Pennsylvania - School of Veterinary Medicine in 1992, after completing his undergraduate and graduate training at Lehigh University and Drexel University. Originally from Pennsylvania, he joined North Deering in March of 1996. At the practice, his main interest is internal medicine, especially endocrinology, but he enjoys seeing all cases and pets (though he has a soft spot for Labs and Goldens). When not at North Deering, he enjoys spending as much time as possible with his wife and two children, as well as his two rescue cats, Max and Pip(squeak). He also enjoys music, reading, hiking, and is vaguely ashamed of playing far too many computer games. Dr. Keenan grew up in the Philadelphia area and received an undergraduate degree at Delaware Valley College in Doylestown, PA in Animal Science. She graduated from Atlantic Veterinary College in 2004, and has lived in Maine for 5 years. She shares her home in Gorham with her husband and their three daughters. Dr. Keenan also has 3 crazy cats and 1 Goldendoodle puppy. Dr . Chase was raised in a large family in Hamden, Conneticut. She attended Quinnipiac College (now University) in Hamden, graduating with a Bachelor of Science Degree in Animal Technology in 1979. Pat worked at various local veterinary hospitals as a Veterinary Technician prior to attending Mississippi State University, College of Veterinary Medicine. 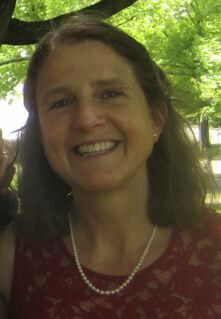 She received her Doctorate of Veterinary Medicine in 1990, and she moved to Maine that same year to marry Daniel Chase. Dr. Chase worked at various veterinary hospitals in the Portland area prior to becoming an associate at Cumberland Animal Hospital from 1995 to 2012 . In 2012, Dr. Chase joined North Deering Veterinary Hospital as a full time associate. Dr. Chase strives to assist owners in optimizing the health and quality of life of their pets through preventative care, quality medicine and respect for the clients' individual concerns and lifestyles. She lives with her husband Dan, children Allison and Nolan and a dog, cat and cockatiel. We are thrilled to have her at our practice. Delfino graduated from Foothill College in Los Altos, California in 1996. He is a licensed veterinary technician who has been with North Deering for more than 13 years. He is active with his daughters' various 4-H clubs and spends a lot of time outdoors hiking, cross country skiing and gardening in the backyard with his family. Ashley joined our practice after completing her Associate's Degree and passing her Maine State Boards to become a Licensed Veterinary Technician. Gina has worked in the veterinary field for many years, with most of those years spent at North Deering. She started as a technician, then as a receptionist, and is now the practice manager, where she works at the front desk and is responsible for staffing and inventory. She shares her home with four cats, getting her “dog fix” at work, where she enjoys seeing old and new friends. Her interests are reading, hockey, walking, and working around the house. I'm sorry to let everyone know that we lost our mascot, greeter, and wonderful friend Daisy on January 20. Many of you met Daisy and her twin sister Rosie when you visited North Deering (she was chosen from the litter by my son, Ian, while Rosie was picked by my daughter Fiona. The obvious lesson is, never take two children to pick just one dog). Although she stayed behind the scenes for the most part, Daisy was a very important member of the staff for a large part of her 15 and ½ years. Over those years she acted as a blood donor, a teaching aid for my first aid courses, a warm companion on cold, rainy days, and a furry shoulder to cry on during bad days. She loved people, especially kids, as well as kittens and, of course, lots of treats. In May of 2014 Daisy was diagnosed with severe pulmonary hypertension, and was given 3 months to live. It did not surprise any of us when she far exceeded that estimate, but time and the disease took their toll, and today we decided to let her go. She went just as I knew she would: with quiet dignity, and with a mouthful of treats. Sleep well, Daisy: you were special. Dad went fishing without me! Chata loves to sleep on couches!